Dental Support Organizations provide crucial marketing and business administration services for many dental practices. As the dental industry grows, many DSOs are looking to expand. In the case of Mid-Atlantic Dental Partners, they’re expanding across the country. With this deal, Mid-Atlantic Dental believes its revenue will hit $100 million now that it has expanded its operations across the country. 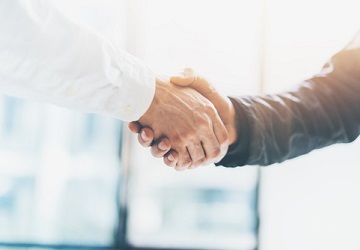 Mid-Atlantic Dental Partners has announced they completed it’s months long acquisition of Birner Dental, a large dental group also known as Perfect Teeth, across Colorado, New Mexico and Arizona. This marks a major step for Mid-Atlantic, a regional dental support organization (DSO) that is continuing its expanse across the nation. Along with the transaction, an affiliate of Mid-Atlantic Dental Partners will purchase all outstanding shares of Birner Dental for $10.62 in cash. The entire deal was valued to around $39 million dollars. This acquisition was finished in spite of an investigation from securities and litigation firm Levi & Korsinsky, LLP into the fairness of the deal on behalf of shareholders. Per their official statement, “The Birner Dental merger investigation concerns whether the Board of Birner Dental breached their fiduciary duties to stockholders by failing to adequately shop the Company before agreeing to enter into this transaction, and whether Mid-Atlantic Dental Partners is underpaying for Birner Dental shares, thus unlawfully harming Birner Dental shareholders.” At the time of the completed acquisition there was no mention of this investigation as Briner and Mid-Atlantic continue ahead with their merger. Mid-Atlantic differentiates itself from usual national DSOs and typical DSO models by forming a deep partnership with practices and focusing on partners close to them. They also help with more than just marketing and business administration, providing help with equipment purchases and the latest dental technologies. However, on their site they note that “as a regional company, Mid-Atlantic Dental Partners will be more responsive than national DSOs to the unique local needs of each practice.” The coming months will tell whether a regional company can handle the transition to a larger stage. Once the deal is finalized, Birner Dental will change to “Rocky Mountain Dental Services Holdings, LLC,” while the rest of the local locations will continue to use the Perfect Teeth brand. They will then each follow the same model Mid-Atlantic currently follows with its partnerships. Birner will continue to be locally managed in Denver, Colorado, at the time of this writing. For more on the DSO model read here.